Before the season even began, we knew that Billy Donovan had a championship caliber team in Gainesville. 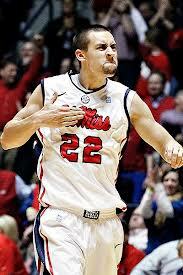 But, Andy Kennedy's Ole Miss squad has been one of the biggest surprises in the nation. The Rebels (17-3, 6-1 SEC) have used controversial star Marshall Henderson, the leader in the SEC in points per game to get off to their hot start. Meanwhile, the Gators are undefeated inside the conference using their incredibly annoying defense to get off to their hot start. Florida's defense has been so good that they have held 15 of their 19 matchups to under 60 points, including three under 40. One of those teams was the lowly South Carolina Gamecocks who the Gators forced to score just 36 this Wednesday. On the offensive side Donovan possesses a number of players who are lethal on the perimeter including Kenny Boynton, the team's leading scorer and quick Scottie Wilbekin, a junior. 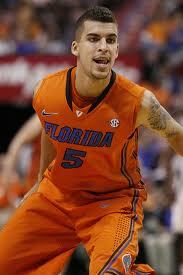 Wilbekin averages 2 steals a game and must help these Gators shut down Henderson. He has already proven he can shut down All-SEC talent as he forced Missouri's Phil Pressey to turn the ball over 10 times and held Georgia Kentavious Caldwell-Pope to just 11 points. As good as Henderson is, he is not the only option for the Rebels' offense. They also have Murphy Holloway, Reginald Buckner, Ladarius White and assist leader Jarvis Summers, that have helped them score 80 a game to this point. The Rebels last loss was earlier this week to Kentucky in which Nerlens Noel swatted everything in sight. Patric Young could do much the same to Ole Miss as he averages nearly two a game already. If this turns into Florida's defensive game, then Henderson and the Rebels have no shot at stopping Florida's win streak at nine. The Gators are 10-0 at home this season and should ride their crowd, and their tight defense to win this one.